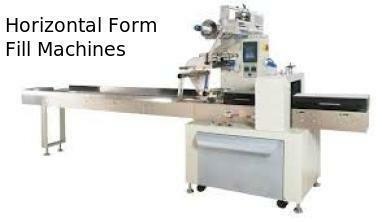 Our company has indulged itself in providing customers a technically advanced range of Horizontal Form. All products are designed by specialized professionals, who are aware of the desires of customers. the material we use in the development of our range is sourced from the reliable vendors, who hold specialization in their respected field. Established in the year 1998 at Noida, Uttar Pradesh (India), we, “Global Associates”, are the prominent manufacturer and exporter of a wide range of Semi Automatic Nitrogen Flushing and Vacuuming Machine, Cup Filler Filling System, Electronic Vibratory Load Cell Weighing System, Mini Band Sealer, Semi Automatic Powder & Granule Packaging Machine, Foil Side Gusset Coffee Bag, Foil Stand Up Coffee Pouch, Quad Seal Foil Gusset Coffee Bag, Coffee Pouch with Valve, Coffee Pouch Bag, PVC Shrink Sleeves, Printed Mono Carton, Flexible Packing Material Pouch, Flexible Packaging Material, Automatic Form Fill Seal Machine, Semi Automatic Liquid & Semi Liquid Filling Machine, Automatic Intermittent Three Side Seal Machine. These products are manufactured using modern technology and high grade basic material under the supervision of skilled professionals. Raw material used in the manufacturing process is sourced from reliable and certified vendors of the market. Our products are reckoned for matchless quality, as these are developed at our well constructed production unit using advanced tools. In order to maintain quality in our offered range, our quality testing team austerely inspects the entire range, right from the procurement of the raw material till the final dispatch. Each and every product is thoroughly checked on various parameters using latest testing devices and tools by our skilled quality controllers in order to deliver flawless products at client's end. Further, we deliver our products in a high quality packaging material in order to ensure safe transit. Being a customer friendly organization, our prime focus is on attaining maximum client satisfaction. Our expert team enables us to manufacture products as per clients’ needs. We deeply take into consideration the valuable feedback of our esteemed clients to enhance our productivity. We export our products all over the world like USA, UK, Africa etc. We Entertain Enquiries Only From International Markets.